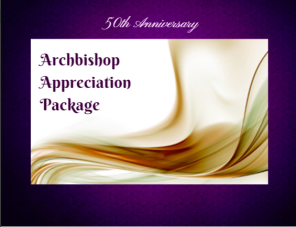 Each Archbishop Appreciation Package is a collection of materials that have been personally developed or sponsored by Archbishop Alexander during the course of his 50 years in ministry. 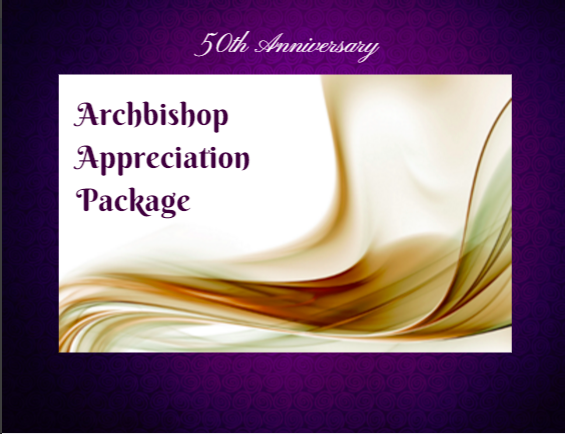 The proceeds from each Appreciation Package will go directly to the Archbishop as a gift, in appreciation for his years of service. We are confident that your life will be enriched by every item in the Appreciation Package, to the glory of God. 1 copy of the Believer's Growth Manual: a book written by Archbishop Alexander which provides insight on the steps one needs to take to develop as a Christian and can be used for family devotions.